People need shoes. There is a grand market for shoes. Zappos has proven it. Big Shoes dubbed “Store Sko” in Norwegian, a small shop in my neighborhood that sells (guess what) big shoes, has also proven it. The shop has been running profitable for years. Big Shoes is master of segmentation marketing. 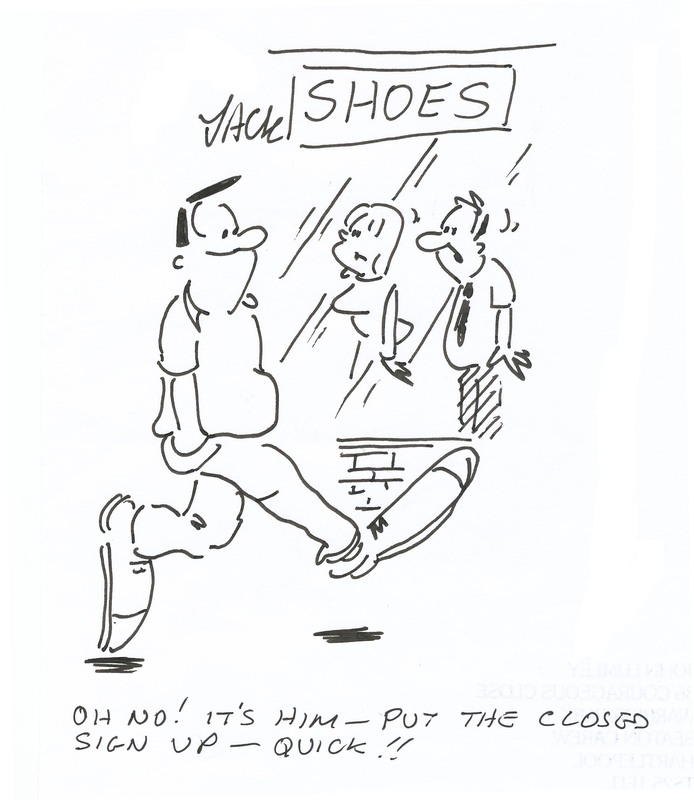 Big Shoes has a positioning advantage – competitors, incumbents and mainstream shoe shops are reluctant to pursue the market of abnormal shoe sizes. First, the market is not perceived large and hence lucrative enough compared to mainstream markets. Second, customized shoes require customized inventory and production lines. When a mainstream shop cannot provide for the customer that shoe size s/he is looking for, they refer to Big Shoes, a sales person told be. Big Shoes receives referrals from competitors because they are in fact not yet competitors – they target different segments. Rather, for the mainstream shop, it is a matter of customer service. Since Big Shoes is about the only big-shoes-specialist in Norway, customers come back. As customer retention is high, Big Shoes builds a stronger relationship to its customers who again share the news with new customers. People with extra large feet do not mainly need a spectacular design or shock-absorbing functions with their shoes. They need shoes that fit. Big Shoes excel at solving that problem for this particular segment. The shop has even started providing shoes that competes with regular shoes on design. By getting the job done and solving a real customer need, Big Shoes are able to provide great customer service, keep clear of competition, and accordingly charge extra. The shop has added mail order as distributions channel and expanded into additional XXL product ranges. Big Shoes is on the disruptive track. What are other examples of disruptive, jobs-to-be-done marketing startups? Did you like this post? You should subscribe or follow me on Twitter. This entry was posted in disruptive innovation, Startup Methodology and tagged disruptive innovation, Jobs-to-be-done. Bookmark the permalink.